Pottery Barn always has the perfect tabletop styling for their coffee and console tables. 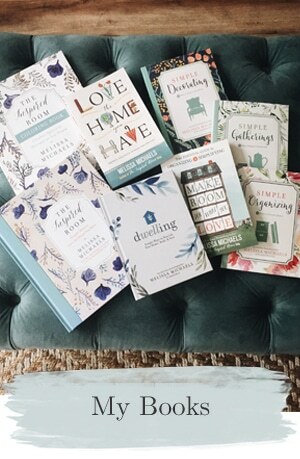 Here are four tips I’ve learned from observing Pottery Barn catalogs! Pottery Barn is a master at featuring creative displays on top of the table AND underneath! Look at what Pottery Barn puts UNDER their tables as well as on top. 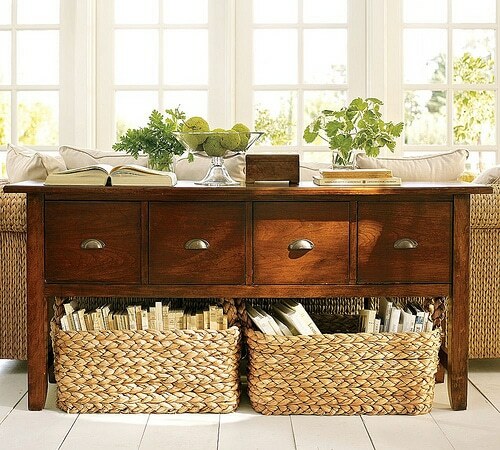 Stacks of books or baskets with books always looks appropriate without feeling cluttered. Remember to not fill the entire surface, leave room on top for coffee cups and putting your feet up! Put elements of your coffee table decor into a bowl, under a cloche, in a box, basket or unique container. This gives smaller items more importance and brings a sense of order to the coffee table! 3. Use an interesting formula. Try this fun formula: Books + Natural Materials (such as pine cones, nuts with shells or plants) + Candles + unique containers and/or objects = interesting displays. Bring visual interest to your room by using a variety of shapes, textures and styles of objects on your coffee table. Think about pairing shiny objects with rough or textural items, round and rectangle, big and small, modern and antique. 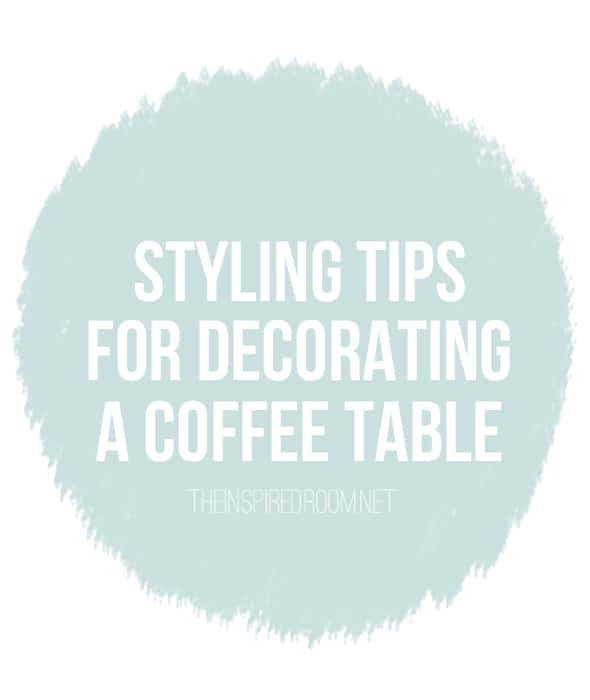 >>For more helpful tips on decorating coffee tables, check out this post on How to Decorate a Coffee Table! >>Check out other helpful tips in the How to Decorate series! 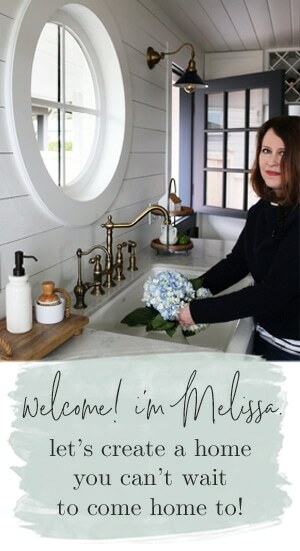 Melissa, Love that you simplified the PB approach to styling, great tips and info. I love to tear up the catalog when it arrives but sometimes I’m not sure why I like the images so much, you’ve got it all spelled out for me. Thank you. At the moment books, bible, and gratitude journal. I have a labrador with a dangerous tail at coffee table height. So I don’t put vases with flowers there, but candles would be lovely. The battery opperated kind……because that tail in an open flame would just be living a little dangerously. 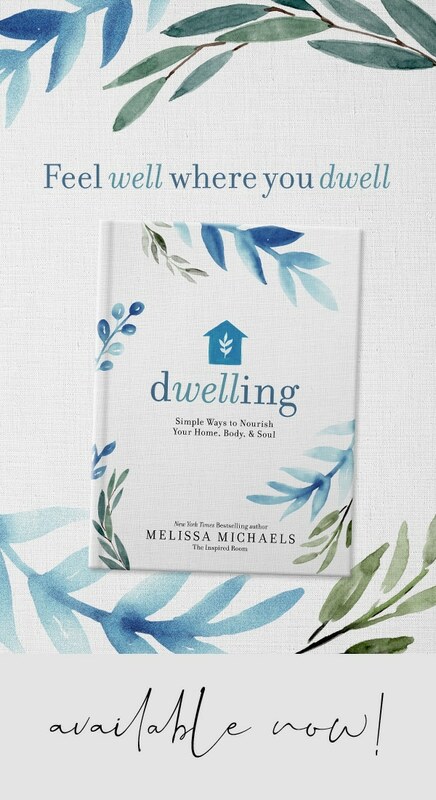 Good post, Melissa, especially at this time of year when all the holiday decorations are put away. Everything always seems so empty and I always like to do something a little different than what was out pre-holiday. My living room coffee table has all my interior decorating books stacked on it. I wanted them out and at the present time that was the only way I could do it. It varies, but right now: a blue and white transferware bowl full of real lemons (my daughter does these things for me), a large carving of a baby bird, looking up, a beautiful wooden serving tray I won on this site (thank you Melissa!) with a few magazines in it, and an old book found at an estate sale – with a darling little red cardinal on the cover. Great post with good ideas!! On my coffee table right now, there is a HUGE wooden dough bowl filled with giant pinecones – on top of a bamboo runner, a cup of coffee & a Nintendo DS. Underneath is a round basket with “winter” books for the boys. I have just started collecting Pottery Barn catalogs for ideas. oh my… those are some lovely tips.. I love to change the decor over or under my coffee table… sometimes books are on top.. sometimes under.. I have a lovely little chest to keep remote controls under the table… and often have different knick knacks on top… with candles.. and with flowers somtimes.. Here is an image for you to see of my coffee table..
LOVE this post…my coffee table and ends tables never look pulled together, so I’ve just been waiting for help like this, THANK YOU! A woven seagrass serving tray from Williams Sonoma (from my mom) holding the following: a ceramic turquoise teapot from my MIL(that has a small white bird on top) sitting on it), nestled beside a vanilla bean candle on a pedestal that’s wrapped in burlap. It is also holding my coasters. Beside the basket is a stack of 3 coffee table books we picked up on various weekend getaways. One is a book from a plantation in LA that we visited, the other is a book from the MET in NYC (first trip we took together) and the other is from the beach (where we go every chance we get). Oh, and one lego man, one paint swatch, and chewed crayon. Right now my coffee table has one pink converse shoe, a toy silverplated sugar bowl and a coaster. How’s that for reality?! We usually don’t have anything because we have a lot of little visitors and a 7 month old granddaughter who lives with us. I don’t want the hassle of policing the table, so for now we leave it clear. What a fun post! I’m currently happy with an ivy in a brown and white transferware cachepot and a shallow wire basket that holds my magazines on my coffee table. 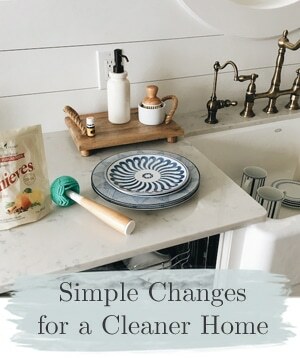 I find that space, for me, is one that changes almost monthly depending on whim and or season! I love getting ideas and inspiration from Pottery Barn catalogs and I keep a few of them for just that reason. We have a fabric ottoman that we love to put our feet up when we watch TV (or the kids lie across it) so usually nothing but folded laundry is on there! When we entertain, we put a big tray on it for drinks and candles. It’s seriously my favorite piece of furniture in the house! I have a steamer trunk as a coffee table so there isn’t an “under”. Right now the top is empty but I’ve been wanting to use a tray my MIL gave me, but I don’t know what else to use. I have a 2yr old so nothing breakable, but I do want interest. I’d forgotten about PB as inspiration, I used them at Christmas! Our coffee table gets dragged close to the couches to be used as an ottoman, so we don’t usually have anything on top or below it! I’ve thought about replacing it with one of those big, square upholstered ottomans, but it was beautifully built by a friend/craftsman who is no longer with us, so I’m kind of attached to it. I might try putting a tray with accessories on it so it could be easily moved when needed…Hmmmm. These are all such beautiful coffee tables!! Unfortunately, at my house it’s rarely just pretty and decorated. When it is, there is a candle, a plant, and a small leopard print container that holds remotes and homework stuff like pencils and erasers. Lol! Nothing right now! I took down all of my Christmas decor & seems like my living room is so bare right now! The stuff I had on the coffee table before Christmas I used to decorate my new kitchen buffet. Need something!!! LOL. Right now our coffee table is re-purposed as our end-of-the-bed table in our master bedroom and has become our diaper-and-clothes-changing station for our two young girls. We originally took it our of our living room to make more space for our family to play and be active. I love these ideas, Melissa, for the other various tables in my house! I too, have collected PB catologs for quite some time now! I have a couple of bronze birdies (which I love), a pic on a mini-easel, an appetizer tray (that turned out to be a lot smaller than it looked on One Kings Lane), and my stuffed lambs. psst… you don’t want to see my coffee table right now. It’s strewn with legos and wii controllers. Faaanncy! I just found a great coffee table at Goodwill that looks like it was made from farm boards/fence planks. AWESOME for $12. I’m dying for warm weather so I can get out and paint it. Anyway, right now it has a stack of books on it with a bird’s nest filled with blue eggs sitting on top of the books. A blue ball jar with a tea light, and a amber blown glass candle holder from coldwater creek. Very natural and rustic. With four active boys, a visiting toddler niece and a great dane puppy, I can’t have much on my table and expect it to stay there for long. I do keep one large, three wicked candle, and it sits on a clay plate that a friend made. I do light the candle quite frequently, it’s not just for looks. Very few things in my house are just for looks. Last night I was at a friends house and couldn’t stop admiring her fantastic coffee table decor. She had two matching 2′ tall candle sticks (black lacquer spindle types) and a 7″ tall decorative pear. It was simple and beautiful on her dark wood table. Plus the glow of the candles just made the room sparkle. I had house envy for sure!! My coffee table is covered with interesting bits and pieces. Easy conversation pieces. It is glass topped and has a large, hand made, round basket filed with a variety of pine cones underneath. The items on top form a triangle. On one end of the top is a lidded wooden box with brass handles (used to be a humidor) on which rests a wooden carved turtle (different woods so the turtle shows up). On the other end is a large coffee table book of Norman Rockwell paintings. On top of the Rockwell book is a slightyly smaller biography of Beethoven’s Life. On top of these two books there is a tall candle in a round clear glass candle holder. In the center is a stack of small antique and vintage books. A smallish wooden carved elephant rests on top of this taller stack. My coffee table usually remains clear of all decor because it gets used for board games, foot resting, and a diving board onto the couch. However, I have an awesome steamer trunk under it, that houses our dvd collection, and looks super stylish. I’m always looking for new ideas for my coffee table…Thanks for sharing. Next month I’m going to my Dads….he has been holding on to an old coal miners cart for me….I plan to turn it into a new coffee table. I have 1 coffe table that has a winderful display of candles and pine cones in a serving tray basket. Underneath, not so cute, full of photo albums and dare I say DUST! In my main living room we don’t have a coffee table partly because of space and partly because my husband has recliners and I don’t know how to use a coffee table with the feet of a recliner up all the time. On my coffee table right now: Loving Family Dollhouse! But, I’m so following the rules with linen canvas covered baskets of books underneath. We have a big square leather ottoman. It doesn’t have any permanent residents right now because it’s usually covered in puzzles, games, or my little girls. They are convinced it’s their STAGE. When they get a bit older, I hope it has more of a Pottery Barn look. But for now it will continue its ToysRUs style. Okay… so I’m hoping the next post is how to style your dining room table. Now that is a high enough spot that I could decorate and not worry about things getting kicked off or danced over. I’ve been looking for good ideas, but I haven’t seen “IT” yet. Please give your 2 cents. I actually don’t keep anything on my coffee table because my little boys love to drive their cars on it. =) But I thought you might be equally interested to know what is IN my coffee table. I just wrote a post about it yesterday. I think you’ll like it! Currently the top of my coffee table is graced with an artificial orchid that I love, as well as my current “family photo books.” The bottom is filled with Decorating books, photo books, and baskets that hold kids toys and books. I love changing it with every season. 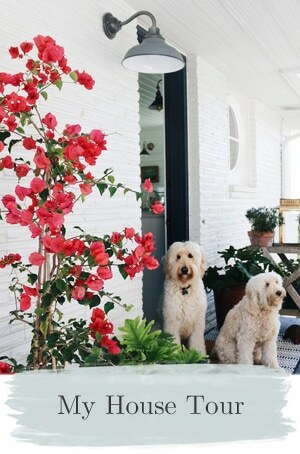 I enjoyed this post…I love the way you articulated what the Pottery Barn Design team does so well. I loved your post… I’ve been looking for a coffee table for months… It’s just hard to find “the one”! Right now I have an old board on two boxes (rescued from the removal! )… I know, I shouldn’t even have a blog when I have such a table!!! Still, I can’t live without it as there are always plants on it, ideally old papers that I bought in “brocantes”, lots of books (where don’t I have books? ), often decorating magazine and ikea/leroy merlin (a sort of “home depot”) catalogues and sometimes a cat! Great tips! Right now my coffee table has a large silver tray (wedding gift 20 years ago) holding a large white ceramic pear, a small footed hurricane with ivy, and my favorite cranberry scented candle. Beside that are two of my favorite decor books topped by my set of coasters. Underneath? My fave magazines and catalogs, stacked, a few smaller books, and our beloved Apples to Apples game. Eclectic ’bout sums it up! I love reading everyone’s comments!! I have my photo books on my coffee table for guests to peruse :) Love to share my family memories! Our coffee table is actually a leather ottoman that has a neat stack of magazines and generally a few feet! I love going through my PB catalogs for inspiration on decorating just about everything, including the coffee table! On my table right now: A basket holding a couple of decorating books, a small lantern, and a starfish and some shells. And next to the basket, a glass bowl filled with sand, glass floats we found washed up on the Oregon coast, and seashells we got at various places. Next to the glass bowl, there is a large starfish that I bought at a shell shop on the coast. I love to tablescape but right now I have a remote control, cereal bowl with milk and a spoon, a cordless phone and a notepad. During the spring and summer I decorate it with a bamboo runner and large apothacary jar filled with sand and seashells from the beach and some adorable blue birds I love! on top I have family photos, a lamp, some snowmen until winter is over. on the shelf (under) I have an old tray and books. I LOVE POTTERY BARN! I do not have coffee tables…young kids run all over the house, so we have open space and an ottoman. Once the kids get older I will begin to accessorize again. I am on cloud 9! I have been following you and getting inspiration from you, and you posted about something I had picked up on and posted about just a few weeks ago! I guess I am learning! Love this post…was looking for help like this a week or so ago when I cleared away Christmas.I wound up with a large rectangular woven basket for books alongside a mercury-glass-like urn with a live plant. It’s a large square table, so I also added a medium glass hurricane with a pillar candle and a white/silver bird, which sit together on a small stack of hardback books (also white)…was going for silvery/whites for January/winter. I adore PB catalogs for decorating inspiration, too! On our coffee table: antique books, a *plant*, a cool framed family pic and a vintage plate on a stand. Underneath are magazines camoflauged in pretty baskets. I use the pottery barn catalog for all kinds of inspiration! Currently, there is *nothing* on my coffee table. I’m trying to redecorate the living room, and it’s somehow easier to be creative and inspired with a completely blank slate…so the whole room is rather un-decorated for the moment. I love Pottery Barn! Thanks for your styling suggestions! I Love all these pictures!! Thanks so much for the inspiration! If you get a chance check out my blog http://www.mysewsouthernlife.blogspot.com I am new to this blogging thing. Thanks again! Just a silver tray to hold our remote control craziness…. We have a wood table with two glass panes so I’ve never tried putting anything underneath because I figured you would be able to see right through. Any suggestions for this problem? My coffee table is an old trunk- passed down from a great-uncle. I have it filled with books/movies/games. I don’t have anything on top though, I enjoy a minimalist look. right now, library books. lots of them. Right now my coffee table has a little Lego City on it! Books underneath and ceramic coasters on top. Nothing else. Our 2 year old granddaughter lives next door and it’s just easier not to put anything on top. books books and more books, a camera, my bible and journal. coffee mugs. (man, time to declutter)…. I don’t have a coffee table in my living room. It’s a rather small space so to maximize all of my furniture, I have two lightweight square ottomans that can be pressed into “coffee table” service if needed. My coffee table is actually an leather ottoman, and I have a stack of pretty hardcover books on it. Nothing else because my 9 month old uses the ottoman to hold onto when he stands, and he’s a grabber! 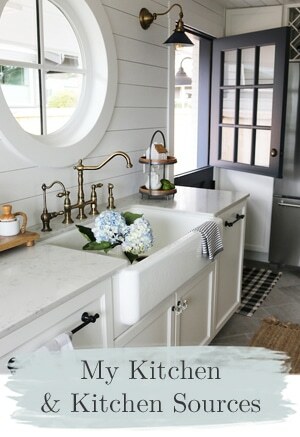 I really am inspired by the barn door hung on the rails in the last picture! I saw that also on the HGTV Dream Home, and also on Nate Berkus today (which, by the way, Centsational Girl was on!!) I absolutely LOVE that, and I wonder if you can get that rail at Home Depot? Also, where does one find a barn door?? A stack of family games, an old blue glass ship’s lantern (very cool)and an in-progress chess game. Nothing. We like to keep it clear. I’m always changing my coffee table, but it usually has a stack of books, some candles, a display box filled with fossils, and often a plant. I like the second photos with the candles and acorns in a wooden box. Well, my coffee table doesn’t look all nice and organized like the ones in those pictures! I just inventoried my coffee table: an AP exam prep book, a Pre-Calculus textbook, two US History textbooks, a pile of library books, mechanical pencils, one school ID, a set of earbuds, and a few video game cartridges. Anyone care to guess where my two teenage boys sit every night to do homework? LOL! I love using old Pottery Barn catalogs for inspiration. I actually did use one for my coffee table now. I found a large clay bowl and put a large glass votive/jar inside it with an extra large candle inside that and I use greenery and berries around the outside of the votive but inside the bowl. I just change out the greenery and berries for the seasons. The base of an old flower pot will work for the bowl and any large glass container will work you could put in a candle or lemons or apples or branches depending on the season. Always fresh flowers, right now in a green and red paisley jug, candle and plenty of books! It’s all sitting on a beautiful tray a friend made out of an old window frame and antique lace hankeys. Great post! I have a black tray with a mirrored bottom inside is a Pottery Barn book, monogrammed coasters, and 2 remotes. The Saladino Villa book I got for Christmas along with some other books, a few House Beautiful magazines, a wooden bowl from Nicaragua which currently holds a Restoration Hardware cypress candle (clearance, 18 bucks!) and the TV remotes. truthfully…right now i can see 4…seriously…4 Bibles! all different versions…teen / child / NIV / New kings james…seems SO overthetop. yet, i know they were ALL read today and that makes me smile! To my great dismay, I don’t have a coffee table but when I finally do it will definetly be set with toddler safe decor.